Spent the better part of two hours debating the ordination of bhikkhunis with a good friend, a Thai scholar who taught Pali in Burma for many years and is now back in Thailand at Wat Mahadhatu. c) the Buddha never revoked the original allowance for single ordination. Therefore, I argued, the Venerable Mingun Jetavana Sayadaw?s argument was valid that, based on the Buddha?s example, when there were no bhikkhunis, bhikkhus should ordain bhikkhunis. Therefore, he concluded, the alteration being made, it will never be possible to return to the original allowance of bhikkhu-only ordination. His point (c) has some merit in my mind; after all, he argued, it would not have always been the case afterwards that the bhikkhunis were shy to answer questions, yet it is to be assumed that all subsequent ordinations were dual. Apart from that, I think his argument doesn?t hold. At the time, I argued vaguely about the existence of ?allowances? that could certainly not be considered mandatory; allowances of straps and needle cases, for example. It was clear, I argued, that those allowances were put in place simply for convenience, since not all monks would be required to use the allowances. ?anuj?n?mi, bhikkhave, bhikkh?hi bhikkhun?na? p?timokkha? uddisitu?nti. The important passage here is ?na, bhikkhave, bhikkh?hi bhikkhun?na? p?timokkha? uddisitabba?. yo uddiseyya, ?patti dukka?assa. ?, which explicitly revokes the original allowance, instating an offense for anyone who uses it. This makes absolutely clear the formula the Buddha would use if he wanted to require, rather than simply allow, a change in procedure. ?anuj?n?mi, bhikkhave, tass? bhikkhuniy? da??akamma? k?tu?nti. 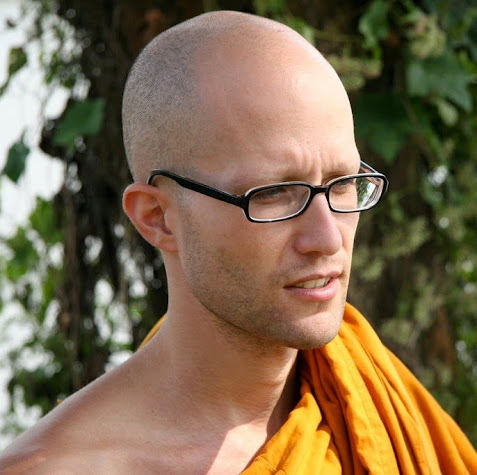 atha kho bhikkh?na? etadahosi ? ?ki? nu kho da??akamma? k?tabba?nti? bhagavato etamattha? ?rocesu?. ?anuj?n?mi bhikkhave, ?vara?a? k?tu?nti. ?vara?e kate na ?diyanti. bhagavato etamattha? ?rocesu?. ?anuj?n?mi, bhikkhave, ov?da? ?hapetu?nti. When the first punishment didn?t work, the Buddha allowed a different form of punishment. Missing is the expected rescension? not really expected, actually, since the first allowance had not caused any problems, it had simply failed to produce the expected results in the given situation. Now, a liberal Buddhist (which neither he nor I is) might argue that the difference between the two is purely coincidental, perhaps a case of sloppiness on the part of the scribe, or even the Buddha. Us literalists, however, can?t fail to appreciate the great importance of this difference. It is unacceptable to us to write it off as coincidental. There has to be a rule we can derive from this difference. The most rational rule to derive is that in type (a), the earlier permission is revoked, while in type (b) the earlier permission still stands ? e.g., if the bhikkhus decide to inflict the earlier punishment in the above (Text 3), there should be no offence in doing so, based on the canonical principle that we are as equally bound to not instate uninstated rules as we are to not revoke instated rules. If we accept these observations as correct, we can then apply the above framework to the question of whether a dual ordination is required today. tena kho pana samayena bhikkh? bhikkhun?na? antar?yike dhamme pucchanti. upasampad?pekkh?yo vitth?yanti, ma?k? honti, na sakkonti vissajjetu?. bhagavato etamattha? ?rocesu?. ?anuj?n?mi, bhikkhave, ekatoupasampann?ya bhikkhunisa?ghe visuddh?ya bhikkhusa?ghe upasamp?detu?nti. a) does it include explicit revocation of the first permission? b) does it involve an occurance of undesireable repercussions, or an occurance of insurmountable obstacles? The answer to the first is quite obvious; unless we allow for a scribal omission, the first permission was not explicitely revoked in the expected manner. The answer to the second question seems equally clear; an argument in favour of the idea that the applicant for ordination?s bashfulness were an undesireable repercussion with potential to harm the sangha is at best far-fetched. The obvious conclusion? That the first allowance stands, at least in some form (more on this later). y? s?, bhikkhave, may? t?hi sara?agamanehi upasampad? anu?? ?t?, ta? ajjatagge pa?ikkhip?mi. anuj?n?mi, bhikkhave, ?atticatutthena kammena upasamp?detu?. Here the Buddha uses a different format for revoking the permission; in the Cv cases of this type, he doesn?t actually revoke it, he rather instates an offence for doing it. Here, ostensibly, there is no need for instating an offence; the result of tisaranagamana ordination after this would simply be a non-ordination. The question we need to ask ourselves is, had we not the Buddha?s statement revoking the permission, would a tisara?agamana bhikkhu ordination stand as valid today? My answer is that, if the Buddha had not explicitly revoked the permission, an argument might be made that the revocation was implicit (and by extension, implicit in the case of the bhikkhunis). Given, however, that it is explicit in this case, we come up against the need to explain why the Buddha was seemingly careless in not making it explicit in the case of the bhikkhunis. Against the framework we have accepted above wherein revocation is necessarily explicit, it seems to be little less than willful blindness to suggest an implicit revocation in this case. If an example could be had of an obvious implicit revocation, whereby the original allowance could without question not be allowed, there might be some argument for at least uncertainty. As it stands, there is no reasonable argument for certainty by which one could say that the later dual ordination is required in all circumstances since being allowed. a) when no bhikkhuni had ever ordained (besides Mahapajapati, that is), there was an allowance for bhikkhu-based ordination. Once opportunity had been given for bhikkhunis to establish their own sangha, dual ordination became the requirement. This one might call the ?inheritist? view. I.e., we take the rules as we have inhereted them. Of course, there are still obvious problems with this approach as detailed above, but putting those aside for the moment, we here are given the idea that unless the Buddha gives us explicit permission to change the way we do things, we are bound by the chronological order of the permissions as we have inherited them, and must live by the latest permission. b) when there were no bhikkhunis, there was the allowance for bhikkhu-based ordination. Once there were bhikkhunis, and due to difficulties in bhikkhu-only ordinations of women, dual ordination was allowed. Given the circumstances surrounding each allowance, the argument is that, by precedent, whenever bhikkhunis do not exist, bhikkhus should ordain bhikkhunis. When bhikkhunis do exist, bhikkhunis should ordain bhikkhunis. This we can call the ?methodist? view (yes, I?m just making these words up and don?t really know what a methodist is). This dychotomy seems to be the crux of the matter. Are we to claim helplessness in having no explicit instructions on what to do in the case where a certain allowance cannot succeed? If we had only the allowance for dual ordination, the answer of course would be yes. Without an allowance to do things another way, we are bound to follow the allowances we have, and refrain from allowances that have been revoked. This is the inheritist principle that conservative Buddhists follow, myself included. Since, however, we have a clear methodology by which to pattern our actions ? a set of allowances, none of which have been revoked, that seem to cover all circumstances, a methodist should argue that it is actually a failure to follow the Buddha?s example if we stick stubbornly to the later allowance that cannot succeed at present. This is the methodist principle, that the Buddha?s allowances should be used in situations that mirror the circumstances surrounding the allowances. So, which do we follow? The question Bhikkhu Bodhi asks in his article on the subject is, what is our intention? As a conservative Buddhist, I would ask, rather, what is our understanding of the Buddha?s intention? If our understanding of the Buddha?s intention is that there should be bhikkhunis in the world, then we should use the allowances in such a way as to facilitate their ordination without breaking any rules. If we use the Buddha?s allowances in such a way as to prohibit single ordination without being able to point to any explicit canonical prohibition, we fly in the face of the Buddha?s own pattern of explicit-prohibition/non-prohibition, and have to admit that our understanding of the Buddha?s intention is that of not favouring the existence of a bhikkhuni sangha. This, of course, is the true problem at present. When the chips are down, the big secret is that most monks just don?t like women. They?re afraid of women. They think women will run rampant, destroying the carefully crafted institution bhikkhus have worked tirelessly for generations to build up. They believe women have more defilements; that they have more difficulty giving up sensuality. They are afraid that women will become so powerful as to endanger the power they now hold over their respective societies. They are afraid they will lose money, power and luxury. These are the true reasons for refusing to look carefully at the subject. I don?t deny the veracity of some such arguments ? believe me, they are used as arguments, though never in public, only in private to people whom they are sure would never expose them on, say a public weblog. Oops. No, I accept there may be a real problem in putting women together in a monastic organization. Why? Because of what both male and female monastics tell me from their experiences. Women, they say, just can?t get along. Yes, a gross, gross, over-simplifying generalization, but it?s what they, women as well as men, say. And I don?t deny that the Buddha himself seems to have had sincere reservations about ordaining women, not just because of the inter-gender relations problem, but also because of an inherent weakness he attributed to women. Gross generalization, yet coming from the Buddha himself. ?ala?, ?nanda, m? te rucci m?tug?massa tath?gatappavedite dhammavinaye ag?rasm? anag?riya? pabbajj??ti. ?Enough, Ananda (or Gotami). Don?t you be pleased by the going forth from home-life into homelessness of women in the dhamma-vinaya declared by the Tathagata? ?na t?v?ha?, p?pima, parinibb?yiss?mi, y?va me bhikkhuniyo na s?vik? bhavissanti viyatt? vin?t? vis?rad? bahussut? dhammadhar? dhamm?nudhammappa?ipann? s?m?cippa?ipann? anudhammac?riniyo, saka? ?cariyaka? uggahetv? ?cikkhissanti desessanti pa? ?apessanti pa? ?hapessanti vivarissanti vibhajissanti utt?n?karissanti, uppanna? parappav?da? sahadhammena suniggahita? niggahetv? sapp??ih?riya? dhamma? desessanti.? ?I shall not come to my final passing away, Evil One, until my bhikkhunis have come to be true disciples ? wise, well disciplined, apt and learned, preservers of the Dhamma, living according to the Dhamma, abiding by appropriate conduct and, having learned the Teacher?s word, are able to expound it, preach it, proclaim it, establish it, reveal it, explain it in detail, and make it clear; until, when adverse opinions arise, they shall be able to refute them thoroughly and well, and to preach this convincing and liberating Dhamma.? I personally find it difficult to believe that the fully enlightened Buddha would have refused to do something he had previously promised to do. It seems quite clear that what the Buddha intended by his words (Text 6) was to warn both his cousin and step-mother of the dangers and to dampen their enthusiasm, which would have the potential of letting things get easily out of hand. Iti yath?vattena bhikkhusa?ghena uss?ho k?tabbo: ?Id?ni bhikkhun?sa?ghe va?sacchinne maya? bhikkhun?s?sana? anusandh?na? kariss?ma. Bhagavato manoratha? j?niss?ma. Bhagavato pu??indusa?k?samukha? passiss?m??ti. Tampi bhikkhun?s?sana? k?tuk?mena pubba?gamena bhikkhun? n?ma bhagavato thomite ?h?ne kusalena bhavitabbanti. Thus the Bhikkhu Sangha described above should make a determined effort as follows: ?Now that the Bhikkhun? Sangha has become extinct, we will revive the institution of bhikkhun?s! We will understand the heart?s wish of the Exalted One! We will see the Exalted One?s face brighten like the full moon!? A bhikkhu motivated by a desire to resuscitate the institution of bhikkhun?s should be skilled in the subject praised by the Exalted One. c) the perceived inability of women to live a monastic life, either for reasons of not being able to get along as well as men, or for reasons of physical and emotional weakness. Of course, this last reason is purely speculative on my part. I have made no such observation myself; I don?t know of a truly harmonious monastic community, even one composed of a solitary monk, I haven?t found women to be weaker than men (except, generally, in terms of physical strength), and statistically, women seem more inclined towards intensive meditation practice than men, even over the long term. Another observation I would make is that there is little hope in obtaining a concensus on this subject in the near future; the monk I debated this with was adamant that single-sided ordination is impossible, since his own teacher in Burma was one of the monks to publish a paper explaining how exactly impossible it is. On the other side of the argument, since we know they are wrong (hehe), there is little hope the ?in-favour? side will capitulate. Today, in Buddhism, there are many, many problems. Just to keep the Buddha sasana alive is a very, very heavy burden, threatening to smother us at any time. If we add bhikkhunis into the equation, the burden will become simply too heavy to carry. It is not that we don?t want to ordain women, it?s that we are afraid we are not strong enough to bear the consequences. I sympathize with this sentiment. I don?t believe the people who say that ordaining bhikkhunis will actually improve the state of affairs. Maybe in the short term they will feel compelled to keep the precepts better than the monks because of public scrutiny; maybe they will actually teach, practice and study better than the monks. But the complexity which they introduce into the sangha is undeniable. Every bhikkhu who ordains becomes a burden that needs to be carried until they can carry themselves. The burden that comes with having to oversee two groups of monastics instead of one is certainly the greater of the two. The question is whether we are strong enough to bear a greater burden then we currently bear. So, the idea that the sangha might benefit directly from ordaining bhikkhunis is, I think, unwarranted. The only benefit I can see to the Buddha sasana in ordaining women, and a great benefit it is, is that ordaining women will be seen as the right thing to do by the global community. It will allow Theravada Buddhism to take its rightful place as a world religion, not just a cultural artifact from antiquity. Half the world is women; where is the justice in denying them what was rightfully bestowed upon them by our great teacher? How can we sit back and make false claims about what the Buddha required, what he intended, what he did even, while inside our true concern is merely our own comfort and peace? If this is truly the reason, let us come out and say it. Let us be clear that it is not that we can?t ordain women, it is really and truly that we don?t want to. Any group that is so honest as this is cleared of wrong-doing in my books. I am fully for allowing monks to find their own way to peace without being bothered by helping others, if they so choose. I will be very happy for them if they find that goal. Let us not, however, use the words of the Buddha as a shield to hide our feelings of guilt at our own self-interest. If we are afraid of the burden of training women as full monastics, let us admit our fear and learn from it, or at least be true to it. Anyo monk who teaches lay women but is afraid to ordain them does not merit the role of teacher. Let him go off in the forest and help himself, I will count myself amongst his supporters. The fear, I think, is anyways unwarranted. If anything, I would suggest what has been suggested to me, that the best way to keep men or women in line is to give them full ordination. To suggest that a lay woman is easier to train than a bhikkhuni is disengenius, not to mention insulting to the one who laid down the rules as a means of facilitating the training itself. If you accept that women have a part to play in Buddhism, the answer is not to allow them to live in our monasteries as lay people, it is to force them to follow the same strict set of rules (stricter, in fact) as the bhikkhus. The idea that this would make them more difficult to control is a product of our misunderstanding of ordination, not a necessary consequence of ordination itself. It is, after all, more about what you give up than what you become. The truth is, we?re all bums. ?Bhikkhu?, ?bhikkhuni?. It?s the same word. Define it as you like, it was used to mean ?bum? at the time of the Buddha. He gave it greater meaning, and applied it to lay people who saw the danger in samsara as well, but as it applies to us in robes, the implication is that we?re nothing. If women want to be nothing, we should let them. Let the girls play too. There is a strong suspicion in my mind that the real problem is our instinctual unwillingness to do just that ? that we are living under the influence of our childhood days of boys? clubhouses and ?no girls allowed? signs, propping up our egos with our ability to exclude those who are physically weaker than us, reacting to our fear of the unknown and repressed sexuality by denial. Maybe the secret of bhikkhu monastic harmony is that boys can only get along when girls are not involved; all it takes is one female to get them butting heads and biting throats. We are bums, let us be bums. Let us lose the sense of self-importance at being something special. Let us help ourselves and those around us become free from greed, anger and delusion. Let us be careful but not exclusionary, self-interested but not selfish, focussed but not narrow-minded, watching our own feet but not hogging the path. It is not, of course, in our best interest to engage in heated debate hoping to change the ways of others. I write all this because I need to know where I stand and what I will do in the future. What others decide is not my concern, and I hope what I decide is not your concern. Let us find the truth as it really is, for ourselves. Let the truth set us free.